Stacking chair with or without armrests, equipped with writing tablet, document holder, ganging device. 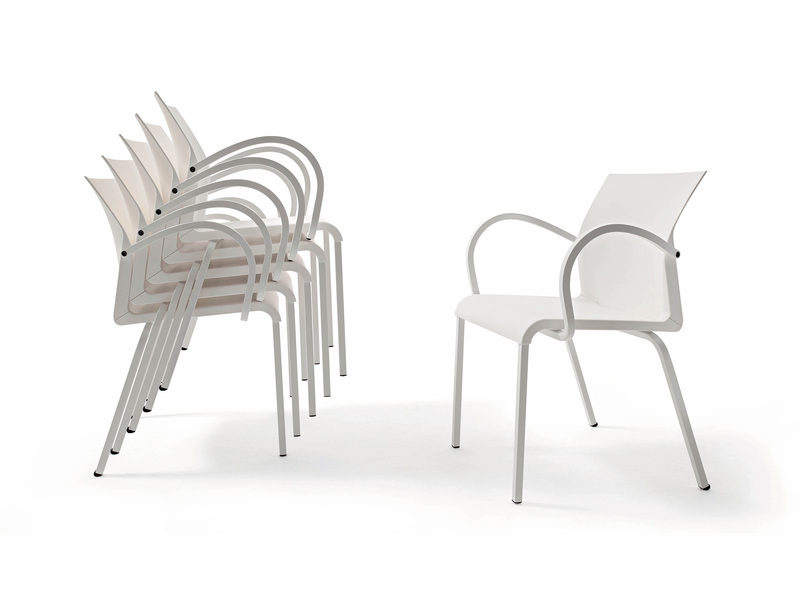 Lacquered metal frame, polypropylene seat and back with geometrical texture in a metallized finish matching with the structure. Available in silver, gold, metallized blue, red, black, white colours.